Also, Google Chrome is the most used & popular web browser of 2018. Today we are going to discuss about the most common problem that people face when using Chrome browser which is how to find my downloads. Google Chrome keeps track of your downloads whenever you download any file on your system which can be pdf, ppt or exe files. Have you recently downloaded any file or you are new to chrome and not able to find downloads than today we are going to guide you how to check recent downloads. Step 1:- Find the Chrome browser on your system and open it. Step 2. 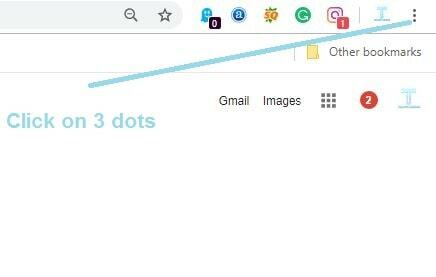 You can see three vertical dots in the extreme top right of your browser similar to below screenshot, click on those dots. Step 3:- If you are using the above shortcuts than a list of your downloads will directly open otherwise you have to click on downloads to view your downloaded files. Step 4:- Check your downloads – You can even search your downloaded file if you are not able to find your downloads. Also, You can either click on that file to open it or click on the show folder to check the location of the file so that you can copy the file and save it to your favourite location. If you follow all the above steps than I’m pretty sure that you can easily find all downloaded files of your system. Let us know in comments if you have any questions related to chrome. Don’t forget to follow us on Facebook, Twitter, Pinterest & LinkedIn for more updates.